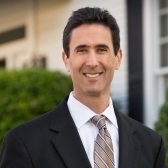 Gregg Helman, CFP®, CLU® | Consolidated Planning, Inc.
Gregg has deep roots in medical financial planning. He has gained valuable insight and continues to learn from his physician father. He now has 16 years of experience in the financial services industry and is passionate about helping members of the medical community increase their financial literacy. Gregg lives in Columbia, SC with his wife and two sons.